There’s no way that your normal car look this cool and composed with one wheel missing. We’re sorry. 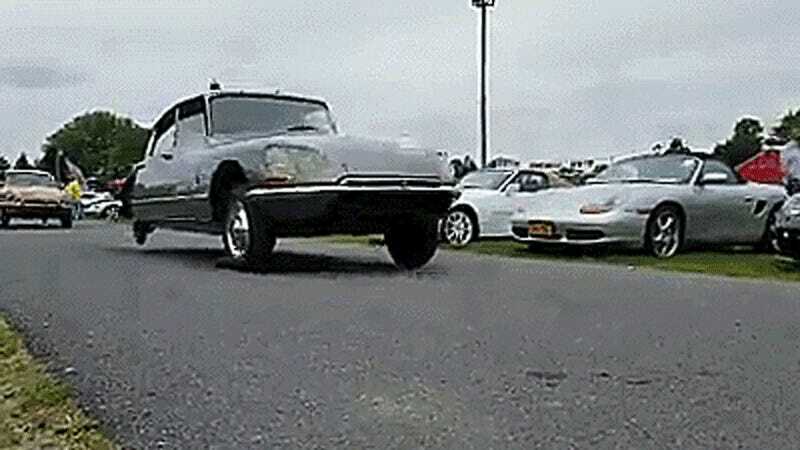 There’s no way you can look as cool while cruising along as these Citroën DSes with three wheels. This is the ultimate way to show off at a car show. Not by endangering the masses with a poorly-controlled burnout, or by peeling out like a reckless doofus. No! 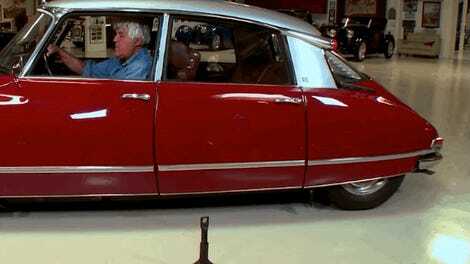 You impress people with grace and style, which a Citroën DS has in loads even with all four wheels on. With one off, however, its self-leveling hydropneumatic suspension has the ultimate party trick up its wheel-wells. It’s so good that it will balance the car on only three of its wheels. This pair of DSes at a Carlisle car show is maximum car show pimpin’ at its best. Who needs hydraulics to lift a wheel when you can just take one off?